Southwestern Ranch Spread - quick dip for chips or veggies - cream cheese, sour cream, ranch and Rotel. Can make ahead of time and refrigerate for later. Great as a dip or topping for a baked potato. 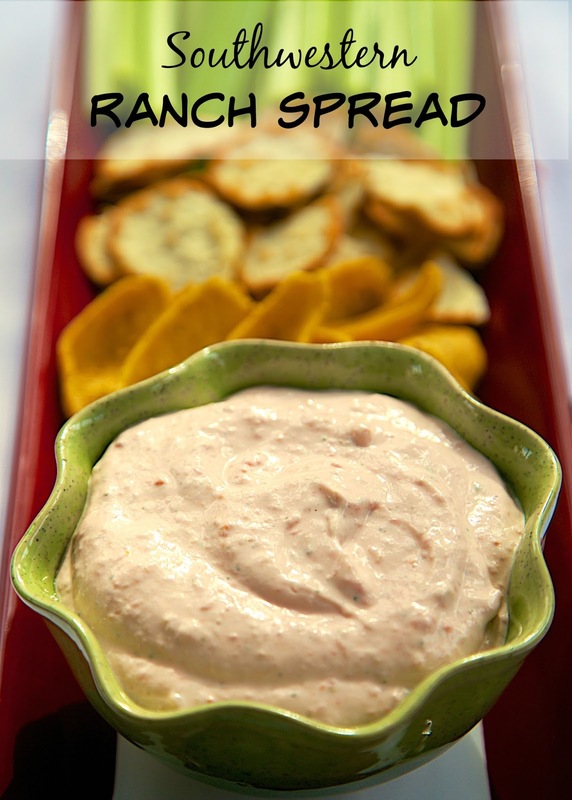 We LOVE this easy Mexican dip recipe! Need a last minute Christmas snack? This Southwestern Ranch Spread fits the bill. It only has 5 ingredients, and I bet you have them in your pantry right now! This is so simple and tastes great. Simply throw everything in the food processor or blender and start snacking. 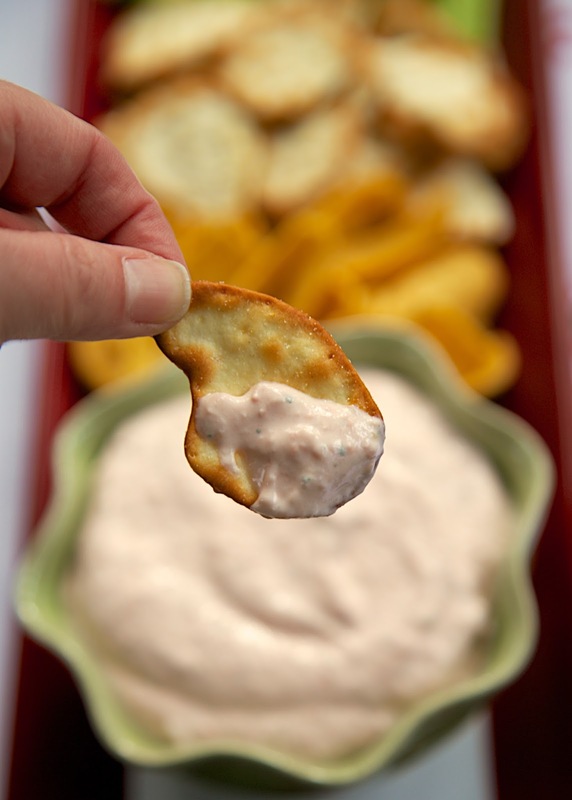 We ate this at Thanksgiving and dipped celery, chips and crackers in this yummy dip. It was hard to stop eating! Process all ingredients in food processor for 30 seconds. Refrigerate until ready to serve. Serve with veggies and/or tortilla chips. I am generally not a fan of anything ranch flavored. However, I have come across a ranch seasoning that is made by a company called "Flavor God" that is all the flavors of ranch without the unknown ingredients. I use that in this recipe and it is SO GOOD! My husband loves this dip with the Everything Pretzel Crisps (https://pretzelcrisps.com), and I think its lovely with a crispy, ridged potato chip. I bet it would also be great on a baked potato or as a spread on a griddled sandwich. Thank you so much for another fantastic recipe!